Live streaming on various video-sharing sites like YouTube, Vimeo, Dailymotion, etc is what people will do in most of their free time. However, more often than not, they will find themselves in a less-than-perfect condition. For example, what if you are heading on a long trip where it's hard to get internet connection, or the internet is tortuously slow? Does this mean that they have to be tethered to the places like coffee shop or working office where the internet is strong? Of course the answer is no. 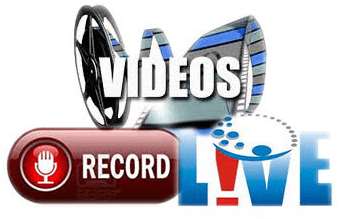 Downloading or recording live streaming video where there's a fast connection and replaying it at leisure avoids the constraints and limits of a bad line. However, most video sharing sites only run on video streams and no download option is available. Fortunately, you can go with the other option: record streaming video with the help of a proper stream video recorder. A dozen of recording tools claim that they can do the task. But in most cases, they may come in incomplete functionality or poor output quality. To select the tool both comprehensive in capabilities and suitable for personal use, MacX Video Converter Pro is just the one you can rely on. This tool integrates video converter, YouTube downloader, screen capture recorder, slideshow maker and video editor in one. It has a knack for capturing everything you see on Mac screen, including live streaming video, YouTube non-downloadable video, game walkthrough, product presentation, etc. You can easily record non-downloadable video from websites like YouTube, HULU, BBC, etc and even iTunes DRM videos with the help of this video recorder. 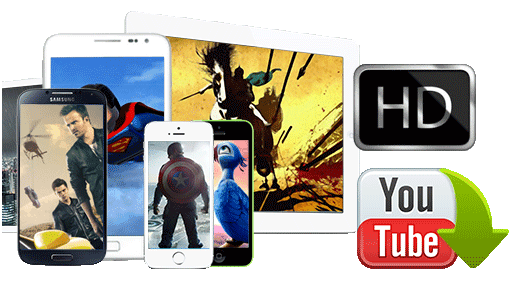 Also you are allowed to save any web videos in any widely-used video formats like MP4, AVI, MOV, WMV etc and play them on your iPhone, iPad and Android offline. As for the quality of the recorded video, don't worry, an original quality is ensured, thanks to the high quality engine. Download this reliable tool , launch it and press the "Screen Recorder" button on the main interface. You can customize recording area by choosing "Keep Full Screen" or "Crop Region". You are also allowed to select the quality of video, tweak the video frame rate, add sound effect to your video, and alike. Click "Target Folder" button to select a destination folder and save your web video. Step 4: Start Recording Online Videos on Mac. Hit "Start Record" button, the program will start to save the video streams on your Mac. During the process, the other activities on the computer won't be affected. As mentioned above, this video capture tool also serves as a YouTube video downloader, which means it also features a strong ability to download online videos, movies, clips, including SD, HD and 4K ultra formats, free from YouTube with extremely excellent quality. And all you need is the YouTube URL of the video. Besides, you can also downloaded the YouTube videos into various video formats like MP4, AVI, FLV etc and audio formats like MP3, AAC, WMA, iPhone ringtone etc as well as mobile devices like iPhone 6/6 Plus/5S/5C, iPad Air 2/Mini 3, Android Samsung Galaxy S5/4/3/Note 4/Edge, HTC One M8, Google New Nexus 7, Surface Pro 2 and many more. Warm note: While enjoying the the convenience from the tools to record any web videos, you need to be very aware that a lot of streamed content is copyrighted and thus recording such content may violate the copyright laws of your country. So you are proposed to record live streaming videos without copyright protection for personal use only. Matchless streaming video recorder for Mac to record any videos on Mac with extremely high quality. with the original audio quality offered. Built in 370+ video & audio codecs, MacX Video Converter Pro can convert both SD and HD videos to the latest mobiles & tablets, including iPhone, iPad, Android, Galaxy S5, Galaxy Note4, Surface Pro 3, Amazon Fire Phone, etc. 83X faster and best quality.